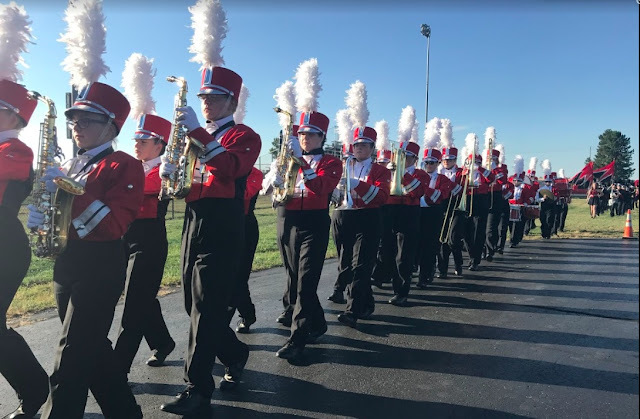 REMINDER: Don't forget your marching shoes and black socks! 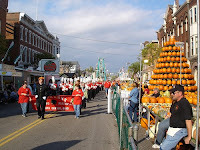 Our annual performances at Fairbanks Elementary and the Circleville Pumpkin Show are on Thursday, October 16. We will load at 8:15 and depart for FES at 8:30. Our first performance is at 9:30 at Fairbanks Elementary school. We will load up again and travel to Circleville where we will peform in the 3:30 parade. We will return to FHS at 7PM. Members will need to bring spending money for both lunch and dinner, as well as any rides/games/shopping, etc. that they wish to do. Dress is full uniform. If you are not riding the bus back to FHS, please be sure to get a note to Mr. Keller before we leave at 8:30. If you are interested in chaperoning this event, contact Mrs. Garwood. =/ but since there was no school, how does this work? Do we still have to have it there by 3:05, or should we not bring it at all? Idk who else signed up to bring food and stuff, but yeah. How is this going to work? cuz I really dont know and my mom is confused, too. do we have rehersal monday cuz thats wat the calendar say on the webpage. i wasnt sure because i thought wednesday was our last rehersal?????? mr keller its rachel claar, i waz wondering if we had rehersal monday cuz thats wat the calendar says on the web page and i thought wednesday was our last rehersal?? ?